If you've been inspired by the white garden at Loseley Park or Sissinghurst or just by the idea this will help you plan one. First off, you've got to be committed. There's no point going 95% of the way and then throwing in a magnificently lurid Dahlia you've seen on Gardener's World or The Daily Telegraph. Next, you need some strong, structural evergreens. Nothing sets off white flowers like dark green. And it's good to have some structure in the winter and to form a backbone to the garden. At Loseley Park they've used Viburnum davidii. It doesn't get too large and keeps a nice shape. You could also use Buxus sempervirens (box) or Taxus baccata (yew). Something tall and willowy at the back of the border will add some height. 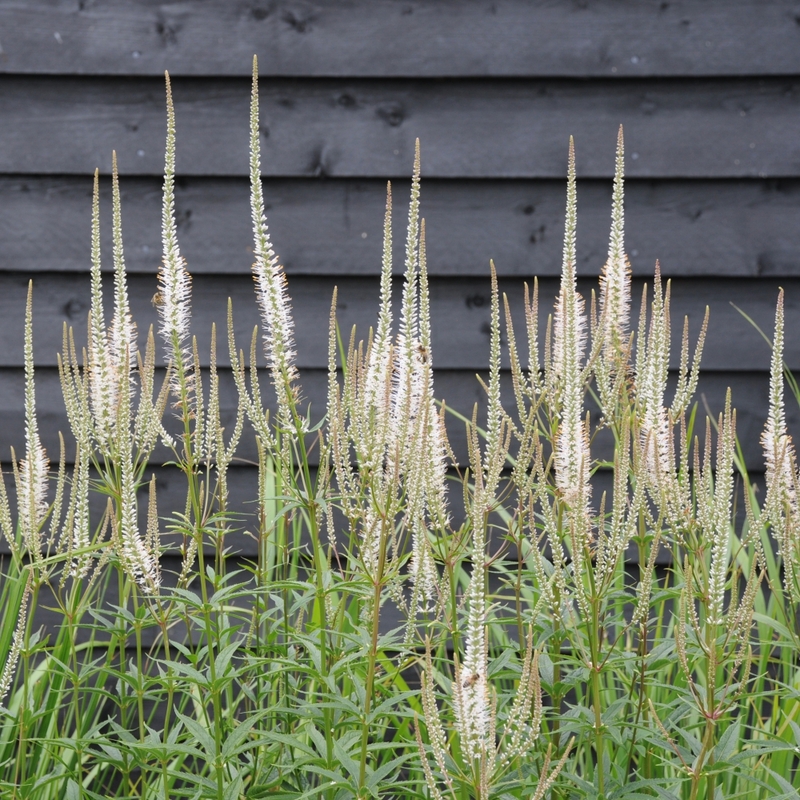 Veronicastrum virginicum Album would fit the bill, as would Epilobium angustifolium Album or Digitalis purpurea Alba which would be good for a slightly shady border. Working your way forwards, Anemone x hybrida Honorine Jobert is a reliable late summer flowerer. It can take a while to get going but its wiry stems will weave their way through other foliage. One of the things you'll have noticed about most white gardens is that they are seldom all white. Touches of pale pink, grey and pale yellow add some depth to the scheme. 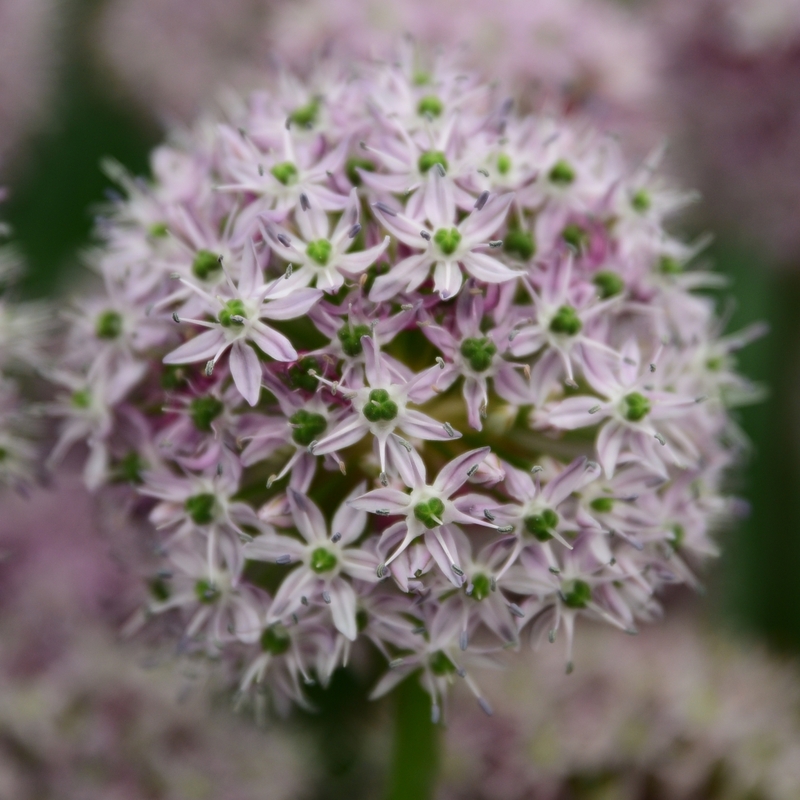 This Allium Decipiens does just that with globes of the palest pink in late spring. Other pale pinks to think about include the fluffy spikes of Stachys byzantina and Linaria purpurea Canon Went with its delicate spires. If you're lucky enough to have a good wall or fence don't forget about adding in some climbers - Rosa Iceberg flowers on and off all summer. And Tachelospermum jasminoides does several jobs - it's evergreen and produces masses of scented white flowers in July. Try a clematis to get an early start such as Clematis montana Henryi. Variegated foliage is frequently used in white gardens and this Miscanthus sinensis Varigatus adds movement in a slight breeze, some structure through the winter and works really well with the pale yellow Anthemis tinctoria Sauce Hollandaise and the white flowers and grey stems of Lychnis coronaria Alba. You want to get the white garden off to an early start so bulbs are a must. My favourite, Tulipa Spring Green looks great with Narcissus Thalia or N. Actaea. Other white tulips include T. White Triumphator and T. Tacoma. Following hot on their heels are Astrantia major Large White, liking not too much sun and a bit of dampness. Astrantia major Buckland has a slight pink tinge. You'll need to plant a few of these fairly close as they take some time to fill out, worth the wait I think. And finally, if you're after an end of season show stopper then it's got to be a hydrangea. This one's H. Emilie Mouillere which fades to a lovely pink colour. Another favourite is H. arborescens Annabelle with enormous green/white flowerheads if it gets enough water. If you've not the space for a hydrangea this is the point at which you can add in a Daily Telegraph dahlia, but make it D. White Star or D. Lady Kate or D. Bishop of Dover. One thing to remember about white gardens, charming as they are, if you don't dead head regularly it will all look rather brown and ugly as the flowers fade.